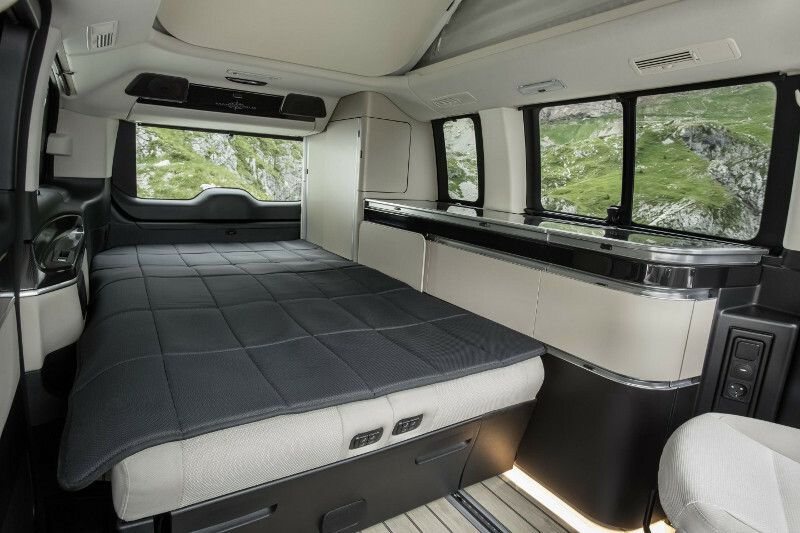 Volkswagen is traditionally the brand of choice for campervan owners, but Mercedes-Benz and Ford are both trying hard to make in-roads into this desirable market. With new conversions selling for in excess of £50,000, it’s not hard to see why. The latest offering from Mercedes-Benz is this V-Class Marco Polo campervan conversion, which is expected to reach UK showrooms in April 2017. This upmarket model appears to be a Westfalia conversion, in line with previous models bearing the same name. 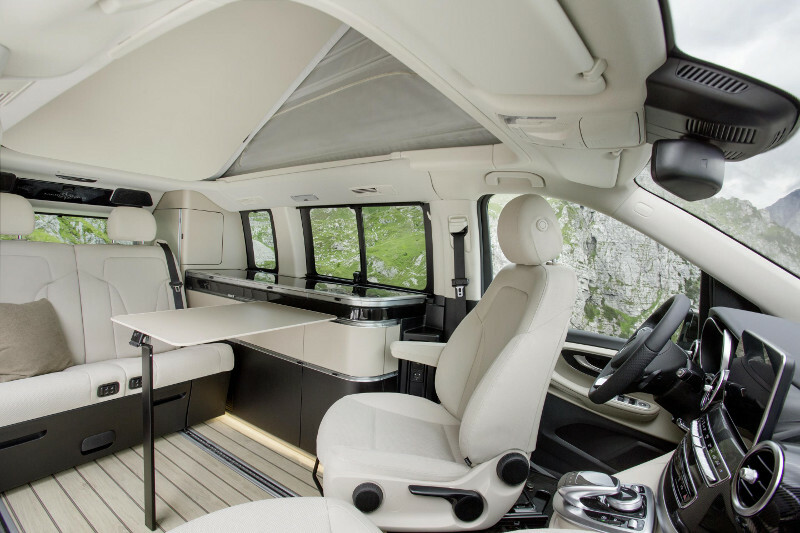 Prices start at £53k, which is broadly comparable with other high-spec camper conversions, such as those from Bilbo’s and the Volkswagen California. If you’re feeling flush or don’t fancy attempting such a detailed conversion yourself, here’s a look at what’s on offer in this new ‘van. 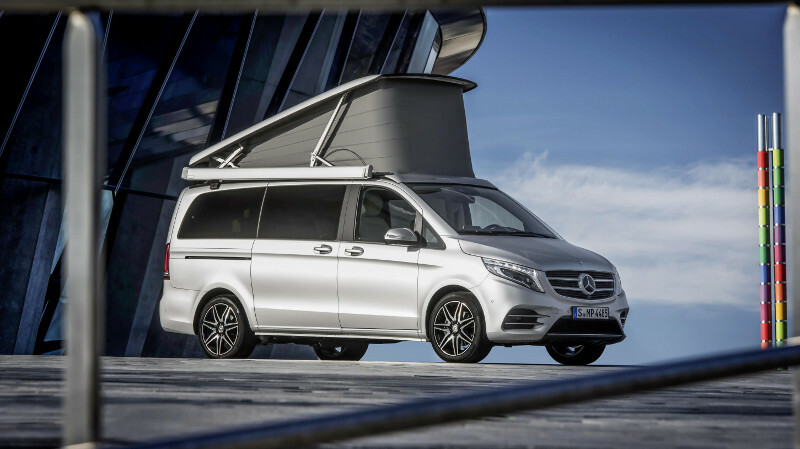 The Marco Polo is based on the V-Class luxury people carrier/minibus model. It can seat or sleep four people and comes with a full range of equipment, including a built-in kitchenette with a fridge and hob, plus a two-seater sofa which converts into a bed with under-bed storage. Inside the Marco Polo in day mode. 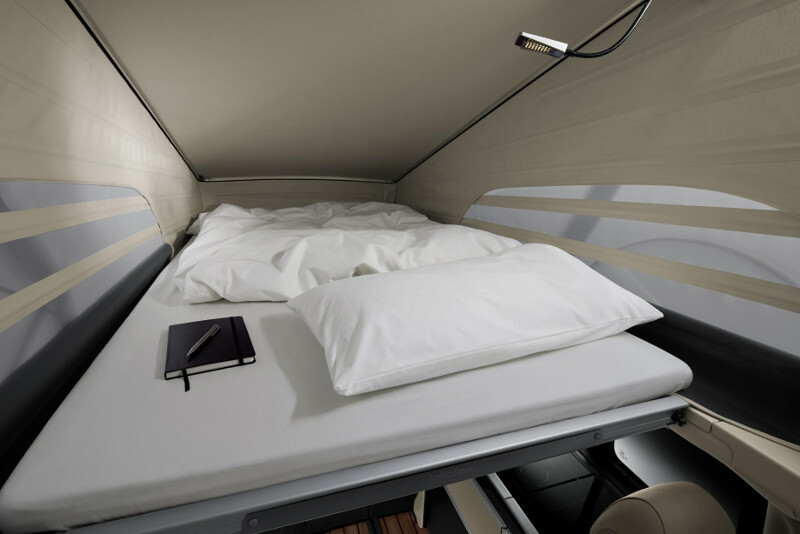 It also features a roof bed, accessed via an electrically raising roof; a wardrobe and a generous luggage compartment. The roof bed in the Marco Polo — I reckon this should be usefully wider than the main bed. Drivers will get a 220d turbocharged 2.1-litre diesel engine offering 163 hp as standard, with the option to upgrade to a 250d 190hp version. Merc claims combined cycle fuel consumption of 44.8mpg for both models, with CO2 emissions under 170g/km in both cases. Mercedes’ well-regarded 7G-TRONIC PLUS automatic transmission is standard across the range. For an additional £2,140, AMG Line models add AMG bodystyling, 19-inch AMG bi-colour wheels, sports suspension, a carbon-look dash, an AMG spoiler lip on tailgate and metallic paint. As you’d expect, there are also a plethora of other options. One notable omission from the standard list is a heater, which clocks in as a £1,345 extra. 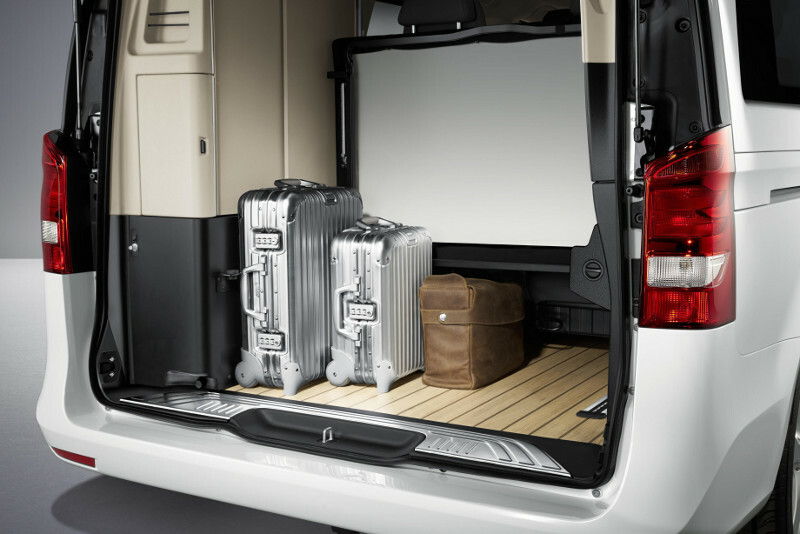 Another option I’d like to see is a slide-out Porta Potti, but then again, this is really a model for campsite/beach posing, not serious travel (tin hat on…). If you’d like to know more, check out the new Marco Polo here. Mr & Mrs mooring, york. We’ve looked at, touched & compaired the vw with the marco polo & there’s a big difference in class the mercedes wins hands down, and guess what we’re buying one next year having done all our research & the mercedes is little bit cheaper,jm.